A faculty committee is in the process of selecting three finalists for this year’s Pritzker Emerging Environmental Genius Award. In the meantime, here’s the next group of five inventors, entrepreneurs and earth-shakers under age 40 who are making a significant impact in the field of sustainability. These candidates take on the most challenging environmental problems, from illegal fishing to plastic waste. By 2050 it is predicted there will be more plastic, by weight, than fish in our oceans. Adel Essaddam is committed to eliminating plastic waste that ends up in landfills, rivers and oceans. As a research scientist at LOOP Industries, he co-developed a technology that de-polymerizes the polyester found in water bottles, food packaging, clothing and carpets — readying it for reuse. Essaddam believes this technology has the potential to disrupt the $110 billion plastic industry and save the world from plastic waste. LOOP has partnered with the beverage company Evian to make this happen. 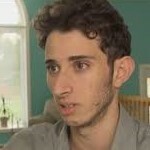 His work has been featured in publications such as National Geographic and NBC. While Brian Gitta was infected with malaria and suffering through the long, difficult diagnosis process, he made it his mission to find a way to confirm the disease more easily. 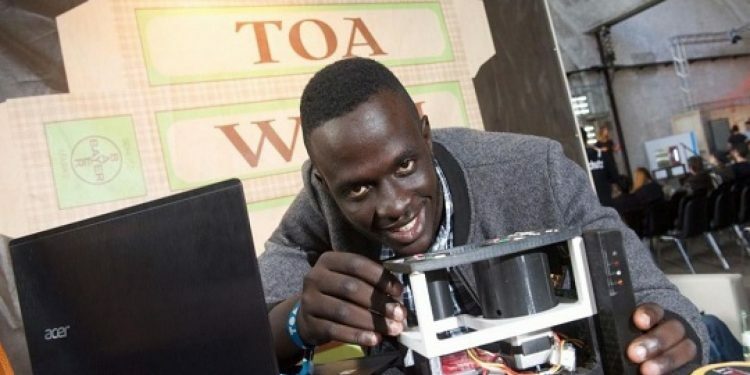 He invented a device called “Matibabu,” which detects malaria in under two minutes. 3.2 billion people are currently at heightened risk of infection, and that number could increase in the coming years and decades — malaria is expected to spread because of climate change. 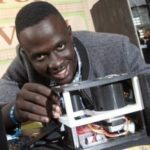 Gitta, a native of Uganda, founded thinkIT Limited to market his invention to the places in Africa and around the world that are most affected by climate change. He was awarded the 2018 Royal Academy of Engineering’s Africa Prize for his work. Gitta is currently a teaching fellow at Young Disaster Resilience Leadership, a program that helps young people address conflict and disaster challenges in schools, communities and at home. When he’s not performing with his indigenous satire comedy group, Dallas Goldtooth uses his online presence to help communities impacted by fossil fuel and mining companies tell their stories. Goldtooth is the leader of the Keep it in the Ground campaign of the Indigenous Environmental Network, which his father founded. He was an outstanding leader during the fight to protect the Dakota Access and Keystone XL Pipelines. 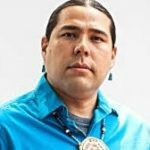 He uses sketch comedy to lighten the seriousness of his environmental work, often serving as emcee at powwows, and most recently, at the Dakota Pipeline protests — while drawing attention to how extractive industries are affecting First Nations communities. As a child, José González identified as Chicano and a treehugger. 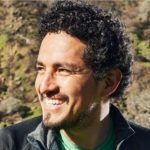 In 2014, he founded Latino Outdoors to introduce Latino communities to nature and outdoor recreation. Now González connects underrepresented groups with nature in order to create a broader support base for the conservation movement. Through the Primavera Initiative, he hopes to create a nationwide movement that uses love and appreciation of nature to bring together different races, ethnicities, genders, religions and socioeconomic statuses. In addition to Latino Outdoors, González worked in Latino outreach and education for the Tuolumne River Trust, and wrote as the main contributor for the environment desk of Latino News Daily. He received the National Wildlife Foundation’s Conservation Education Award and his work was featured by NBC and Outside Magazine. Peter Hammarstedt captained the boat that set the record for the longest maritime pursuit in history, successfully apprehending the captain and crew of a vessel blacklisted for overfishing — after chasing them across three oceans. The operation was part of a program Hammarstedt created to stop illegal fishing and sustain the fish populations more than a billion people rely on for their primary protein source. 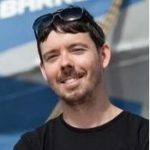 Sea Shepherd is a “civilian offshore patrol vessel” program that helps developing nations preserve seafood populations in their territorial waters. Since Sea Shepherd launched, Hammarstedt and his team have witnessed fewer instances of illegal fishing and seen fewer non-target species caught in industrial fishing gear. Hammarstedt was awarded the Winsome Constance Kindness Gold Medal for Humanitarian Service, an honor previously given to Jane Goodall and Maneka Gandhi. Top image: Brian Gitta shows off his invention “Matibabu.” | Photo via Guide 2 Uganda.